Lyft said nearly 200 employees at Uber, one of its largest rivals in mobile car hailing, have since last October ordered and cancelled thousands of Lyft rides, causing lost fares with its service. 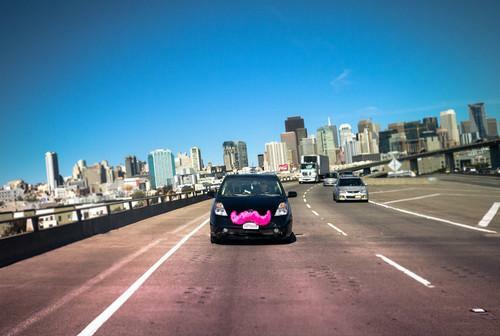 Ordering and cancelling rides chokes up Lyft's system, causing longer wait times for people who really want rides. That could make a rival service like Uber or Sidecar seem better. Uber is known for its premium black town cars, but the startup also offers a cheaper option for rides from people in their own private cars, which is Lyft and Sidecar's bread and butter. "It's unfortunate for affected community members that they have used these tactics, as its wastes a driver's time and impacts the next passenger waiting for that driver," a Lyft spokeswoman said via email. It's not the first such accusation against Uber. Earlier this year a smaller black car service in New York, Gett, accused Uber of ordering and cancelling more than 100 rides, said a report in TechCrunch.